[The Republicans] offer . . . a detailed agenda for national renewal. . . . [On] reducing illegitimacy . . . the state will use . 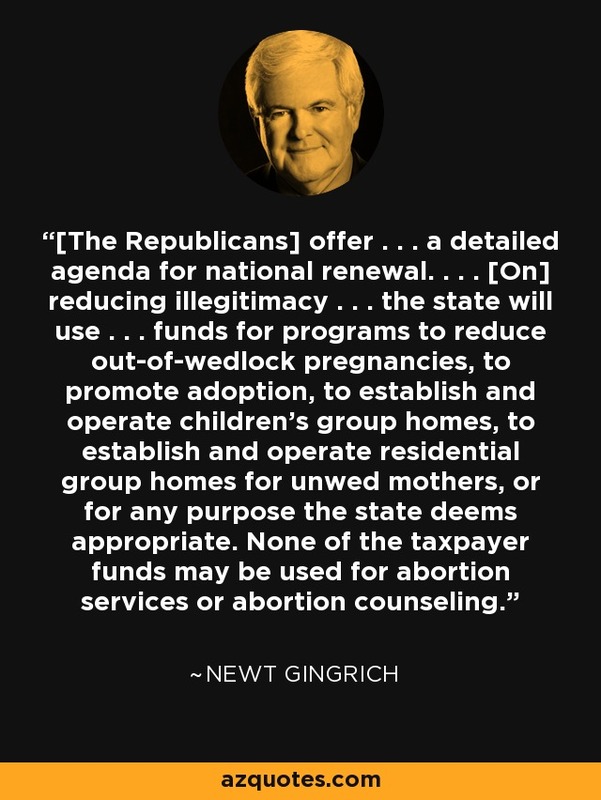 . . funds for programs to reduce out-of-wedlock pregnancies, to promote adoption, to establish and operate children's group homes, to establish and operate residential group homes for unwed mothers, or for any purpose the state deems appropriate. None of the taxpayer funds may be used for abortion services or abortion counseling.